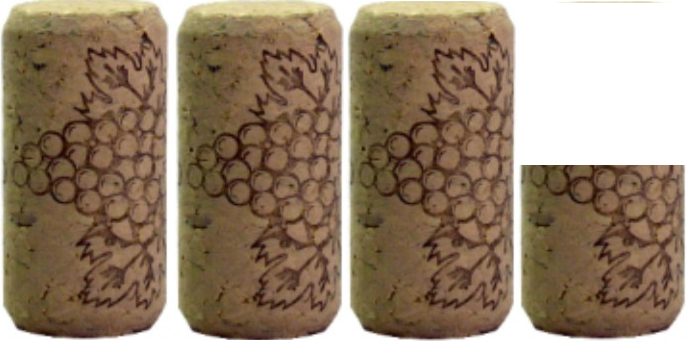 At our last wine party, we talked about the difference between “old world” and “new world” wines. In the U.S., Australia, New Zealand and other non-European wine regions, the wines tend to be ready-to-drink. You can sip a lush Shiraz from Australia with or without food, for example, whereas a dry Italian Chianti will taste bitter and even slightly sour by itself, but pair it with a nice lasagna or spaghetti and meatballs, and lush fruit flavors will emerge, softening the tannins and acidity. This week’s featured wine is a bit of a conundrum, because it’s an Italian blend of Cabernet and Merlot that’s pretty nice by itself, but even better with food. 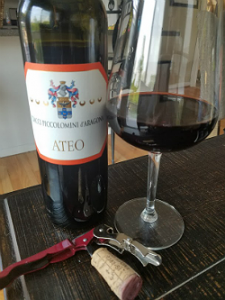 It’s called ATEO, which in Italian means “atheist.” There’s an interesting story attached about why the Ciacci Piccolomini winery chose that name. After an unsatisfying harvest of Sangiovese, the official grape of Italy, the vineyard owners reportedly ripped up the vines and planted Caber net and Merlot instead. “Heresy! ATHEISTS! !” the people cried. So they named their first batch “Ateo,” and the name stuck. This wine is drinking pretty well now, but I think it will definitely smooth out and improve with age. There are nice aromas of vanilla, black cherry and cedar, and subtle blackberry flavors, with a little plum, followed by a dry smoky finish. I had this at dinner with a rice and chicken dish that was not an ideal pairing. It was good, but the wine was crying out for marinara and parmesan! On my five-cork scale based on taste and value, I give the 2014 Ateo Cabernet Merlot from Ciacci Piccolomini 3.5 corks! It’s a very nice wine now, but will be spectacular in another year or two. If you’d like to try interesting wines like this, please join me at our next private wine party at The Party Source! I host a wine dinner there every month with sommelier Steve Tartaglia, and we feature several interesting wines, paired with a delicious catered dinner. There are always cool prizes to win, too, so listen Wednesday at 4:15 to win your spot on the guest list, or click here for a chance to win!